The El Campo (The countryside) collection gets up close and personal with the wildflowers and the insects that flourish in and help pollinate the Andalucian countryside. Honey bees and butterflies are abundant and when the blossoms bloom in early spring the hum of bees is deafening. The insects are hand drawn. 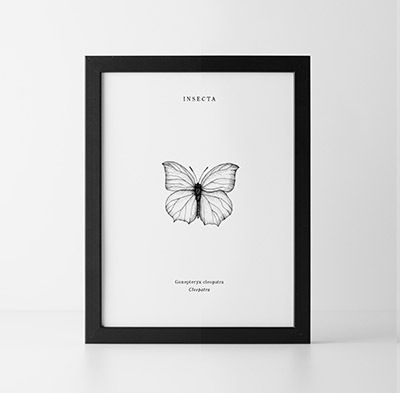 You can see them all individually in my INSECTA card and print range in the SHOP . See below for a print that would pair nicely with this collection. All designs are available in alternative colour options. Contact me to see more.